Bab Alshams, Occupied Palestine – 250 men and women from across Palestine establish this morning a new Palestinian village named “Bab Alshams” (Gate of the Sun). 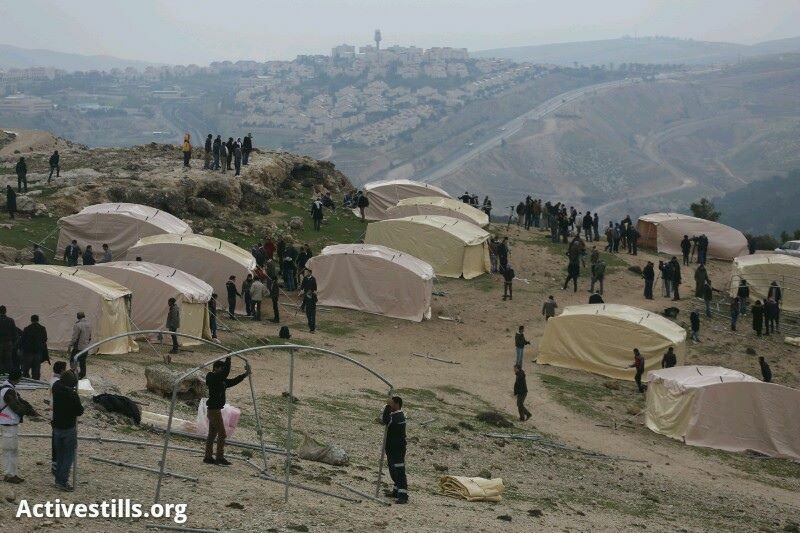 Tents were built in what Israel refers to as area E1 and equipment for long-term living was brought. We, the sons and daughters of Palestine from all throughout the land, announce the establishment of Bab Alshams Village (Gate of the Sun). We the people, without permits from the occupation, without permission from anyone, sit here today because this is our land and it is our right to inhabit it.